Humitas in Chile are prepared with fresh corn, onion, basil, and butter or lard. 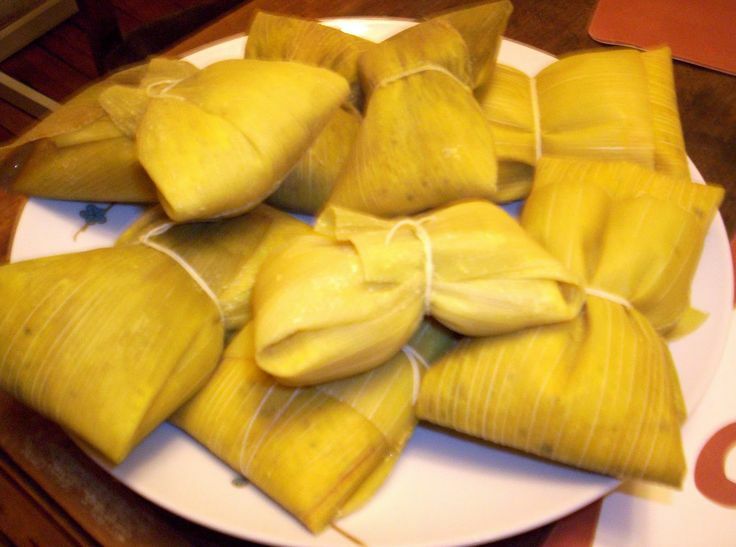 They are wrapped in corn husks and baked or boiled. They may contain ají verde (green chili pepper). The humitas are kept together during cooking with thread or twine. They can be made savory, sweet, or sweet and sour, served with added sugar, chile pepper, salt, tomato, olive and paprika etc.